The idea of combining occupancies has been proven successful in towns and cities for thousands of years. Along with the benefits of sustainability, vibrancy, and 24-hour land use, mixed-use buildings spread market risk across multiple sectors. 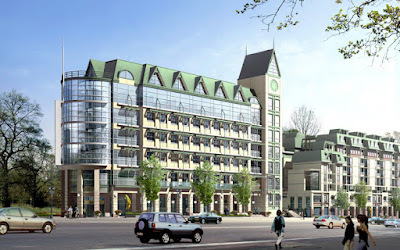 Quality mixed-use design requires a keen knowledge of the various occupancies and support functions. DIAP has designed mixed-use structures since its inception, which means that DIAP has over two decades of experience in designing complex mixed-use projects. Carefully considering the needs of each project and the potential of the surrounding area, DIAP produces fresh, relevant buildings that enliven and transform neighborhoods. These site-specific designs are as diverse and individual as the cities, clients, and purposes they serve. These buildings achieve a balance of uses for optimal economic synergy and reflect the conditions of the site and the surrounding area. This form of development is critical for achieving walkability and 24/7 land use, which translates into a space where individuals can live, work, and socialize. This is a key component of sustainability because it creates structures which will be fully utilized for years to come. This mixed-use loft building is integrated with the surrounding historic warehouses. The lively neighborhood and location, across the street from the San Francisco Caltrain Station, are ideal for a diverse mixture of uses. 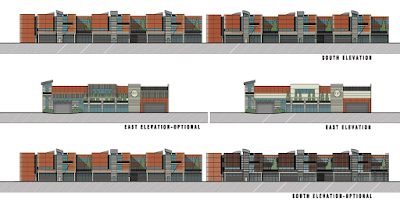 On a narrowing site with a steep slope, this mixed-use infill project takes advantage of a key location along the Mission Street transportation corridor in Daly City. Adjacent to the expending Palmdale Airport, this unique office/warehouse mixed-use complex is tailored to service local, national and international clientele needs. Inspired by historical lake towns, this redevelopment combines retail space, senior and conventional housing, office space, and a hotel. 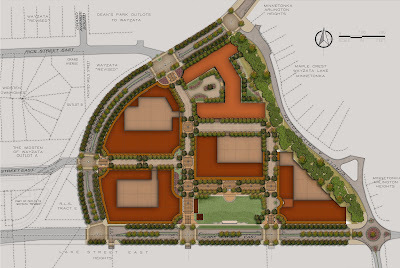 The sustainable design includes near-zero runoff, geothermal energy, heated streets, and green roofs. 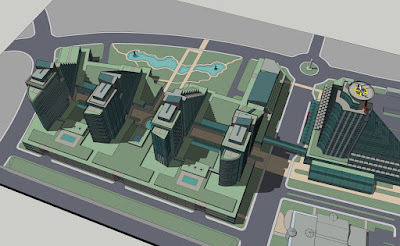 A mixed-use retail power center with office and housing components, anchored by an international level hotel and surrounded by five acres of natural park. 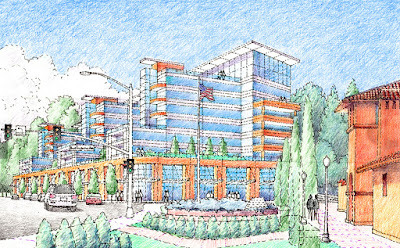 Overlooking a pleasant local park, this state of the art green, sustainable mixed-use development is providing medical, retail and day care functions to this neighborhood. The first loft building in Oslo, Jens Bjelkes Gate was designed with flexible plans for the retail lofts on the ground-level and residential and office lofts above. The roof terrace is a shared recreation area, and an underground garage provides parking. 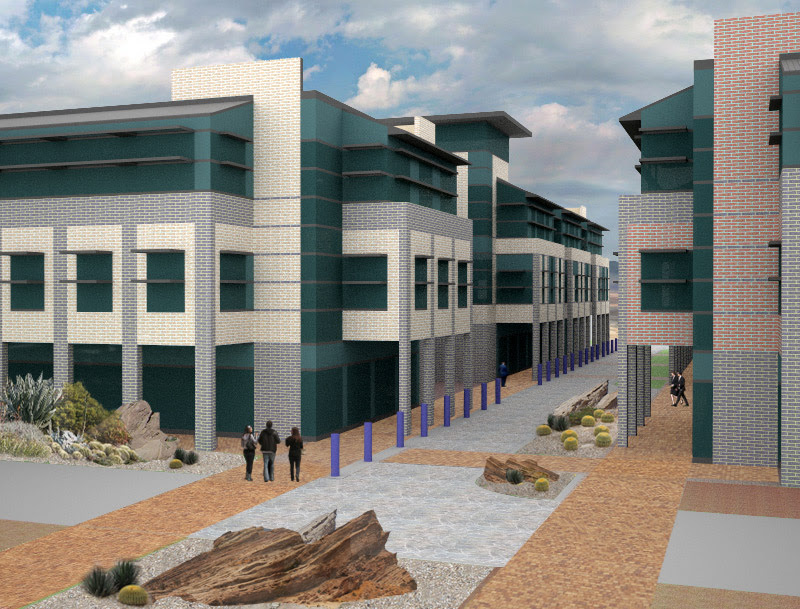 DIAP's redevelopment plan preserves the historic train station and utilizes the space along and above the train tracks for much-needed housing, retail, office, and entertainment space. 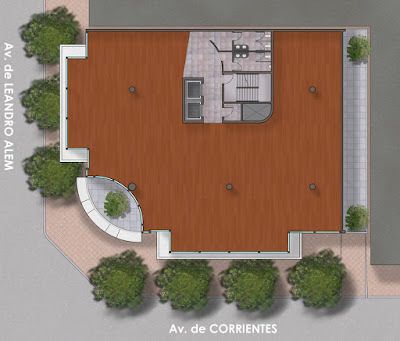 Corrientes and Alem is a proposal for a contemporary downtown office building in Buenos Aires. With an open floor plan, this building features a landmark facade with high-end design and materials.